We are currently looking for new tenors and basses. A few of our men have recently had to leave us because of work and family commitments, at a time when we have an exciting programme of concert commitments, so we are very eager to welcome some new singers. Please e-mail us if you are interested. 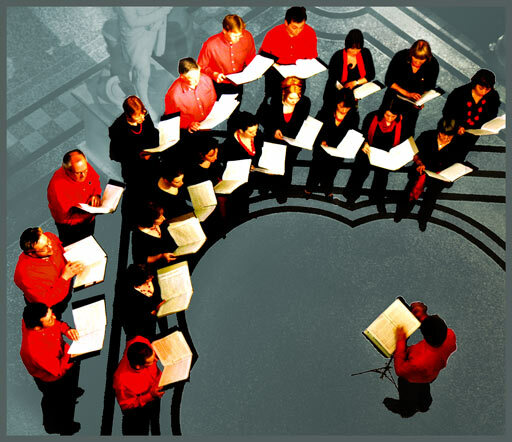 We are an ambitious mixed a cappella choir of around twenty singers, based in Edinburgh. We rehearse in Morningside on Wednesday evenings. We sing an eclectic mix of music from around the world in a wide range of languages; from Indian Raga to Hungarian folk songs, and contemporary American music to Renaissance motets. Recently we have performed pieces by Morten Lauridsen, Veljo Tormis, James MacMillan, Franz Biebl and Bela Bartok. We perform between four and six concerts per year, in prestigious venues such as Rosslyn Chapel, St Giles Cathedral and the National Portrait Gallery. Occasionally we travel within the UK for concerts or choir exchanges, and less frequently tour abroad. Our current programme is themed around Spanish and Latin American music. Our next concert is on Saturday 12th May in Cranshaws (near Duns in the Borders). We enjoy working together to create high-quality performances. We make space in our diaries for concerts, we attend rehearsals, we arrive on time, and we sometimes memorize music and words in unfamiliar languages. That means that we are not a "turn up and sing when you feel like it" group. You need to sing in tune and in time, and you need to read music. That said, we don't expect classically trained voices, or note-perfect singing at first sight. Auditions are informal. We offer plenty of musical activity and satisfaction, and a good deal of sociable fun as well. You can find more information on the other pages of this web site. If you want to hear us, you can come to one of our concerts.